There is no ready manual for raising a child. Motherhood is never easy as moms are always standing 24/7, and with no breaks or vacation time. But despite duty that runs around the clock every single day, heavy demands and countless sleepless nights, moms define motherhood as the most rewarding experience ever. Moms revel in happiness knowing that their kids will some day take on a developmental leap and pick up stars along the way. This is the “Momazing” feeling of knowing that everything---mother's hard work, teachings and encouragement are all worth it. Momazing is that mix of pride, accomplishment, joy, relief and the confidence and reassurance of getting it right that every mom feels. And these Momazing moments can happen anytime, anywhere, and so moms should make every day count. Scott’s® Vitamin C product recognizes these moments and supports all moms’ endeavors to help kids reach remarkable milestones. Scott’s helps build foundations to help children flourish, which is at the heart of everything it does. Scott’s® wants to celebrate moments which make motherhood feel so special that it launched the #Momazing Moments Campaign today at SM Megamall Event Center. Hosted by Daphne Oseña-Paez and Dimples Romana, entrepreneur, event aimed to capture wonderful moments between mom and child, share the experiences online and inspire more moms to be #Momazing. It highlighted the special moments between parents and their children. Moms Fleur Sombrero, Michelle Lim and Michelle Ressa Aventajado were invited to talk about their #Momazing Moments and to share their valuable insights on motherhood to inspire other moms. Mommy guests were given the opportunity to create more #Momazing moments with their kids, through entertaining activities like balloon twisting and face painting. A #Momazing Moments video booth was also set up to allow both mom and child to record endearing messages to each other. They even got personalized Flipbooks and free samples of Scott’s® Vitamin C for their children. Scott’s® has always been about ensuring children the strongest possible foundations to grow up healthy and strong. By helping to boost growth, immunity and development, Scott’s creates the perfect springboard for all those amazing leaps. Scott’s is produced by GlaxoSmithKline (GSK), one of the world’s leading research-based pharmaceutical and healthcare companies. GSK is committed to improving the quality of human life by enabling people to do more, feel better and live longer. Head on to the ‪#‎Momazing‬ event at the SM Mega A Event Center this Mother's Day with the whole family. Admission is free. 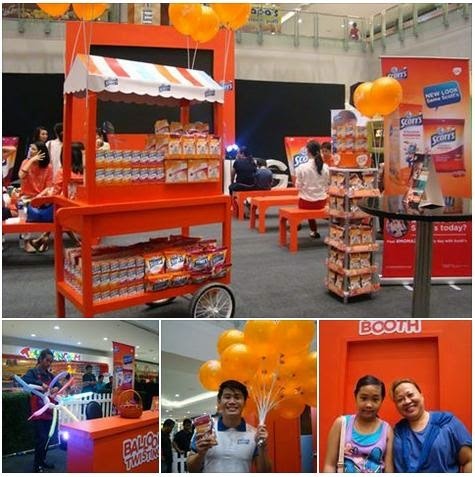 Visit www.facebook.com/ScottsPh and www.gsk.com for more information on Scott’s® #Momazing moments or GlaxoSmithKline. Come and see how THOUSAND of individuals like YOU are making a LIVING online and are living their wildest dreams right NOW.